Are you a sports fan? If you do, then you must know the sport of football. Football has the reputation of being the “world’s number one sport” and is the most influential individual sport in the world’s sports world. It has five major leagues in Europe and Football World Cup and other famous events with great influence. 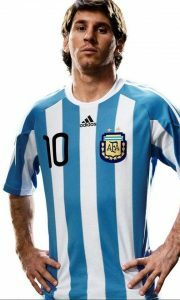 With the influence of football in the world, there have been generations of stars. The most influential international superstars in the world are the Lionel Messi of Fútbol Club Barcelona and the República Portuguesa star who just transferred to Juventus Football Club SPA. Cristiano Ronald. each player’s personal ability will be fully utilized.The mark on the chest part of each jersey is the team’s logo. These team sports patches are not only the team’s logo, but also the most sacred belief in the player’s mind. The source is also the totem of countless fans. 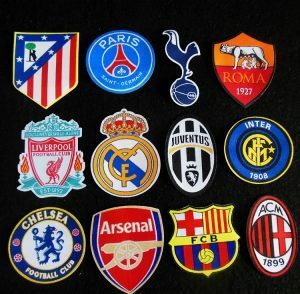 See here, do you want to have a sports patches of your team team ?Recently GS-JJ.com, the world’s most famous custom embroidered patches site, has launched a brand new sports patches section, which has the largest and most complete the football team custom patches, like our familiar Fútbol Club Barcelona, Real Madrid Club de Fútbol and Juventus Football Club SPA. 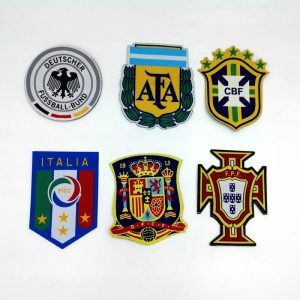 There are also various football national team custom made patches like Brazil, Portugal, Argentina. In addition, the GS-JJ.com custom patches has more than just a football patches. The GS-JJ.com custom patches website also has the National Basketball Association, like Los Angeles Lakers,San Antonio Spurs. sports patches. Watching the game and cheering on our favorite team is a very happy thing. 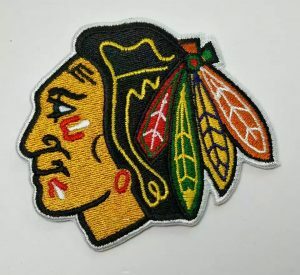 In addition, GS-JJ.com custom patches also has a variety of sports patches, like a ice hockey, baseball and other large-scale sports patches, you can find any team you want to support here custom embroidered patches with the desired. If you are also a sports enthusiast who loves sports, it doesn’t matter, GS-JJ.com custom patches can also customize various types of sports patches, custom size, images as you wish.While you exercise it’s so cool to put these embroidered patches on your clothes, or on sports equipment. Another simple motion patch seems to be a team logo, but in fact, it can mean more. If you have a good team, in order to make greater progress, it is often necessary to unify the teams. And such a simple motion patches can do this. In addition, the GS-JJ.com custom patches can also customize such sports patches for the team, which can become a connection between team members, strengthen the close relationship of the team, and sometimes even let the team members feel the warmth of the big family. With such a sports patches, we will encourage each other and enhance friendship. We are in a warm and loving environment, which avoids tension and we can be more united. After reading the above introduction, do you know about the sports patches? Our GS-JJ.com custom patches has the above and a full set of a variety of sports custom embroidered patches, all you need to be interested in can be found here. In addition, GS-JJ.com custom patches not only has a custom embroidered patch for the sports series, but also has the most complete series of embroidered patches, such as anime series patches, dark series patches, emoji emoticon patches, etc. I believe you can find the custom patches you want here.If you have any questions about our custom patch, please contact us immediately. 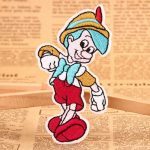 We will provide you with the most professional design team to design a perfect embroidered patches, there is no minimum limited for customizing custom patches online. ← What a Coincidence : The Same Day, the Different Festival on 11.11!